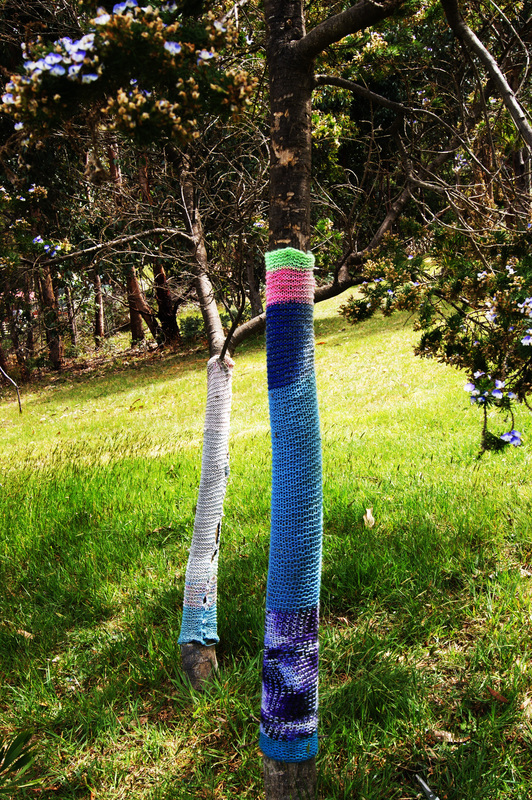 These Yarn bombed trees are well weathered & situated in a paddock on Bruny Island Tasmania The texture & colours found in Yarn Bombing are just right for interesting photography. 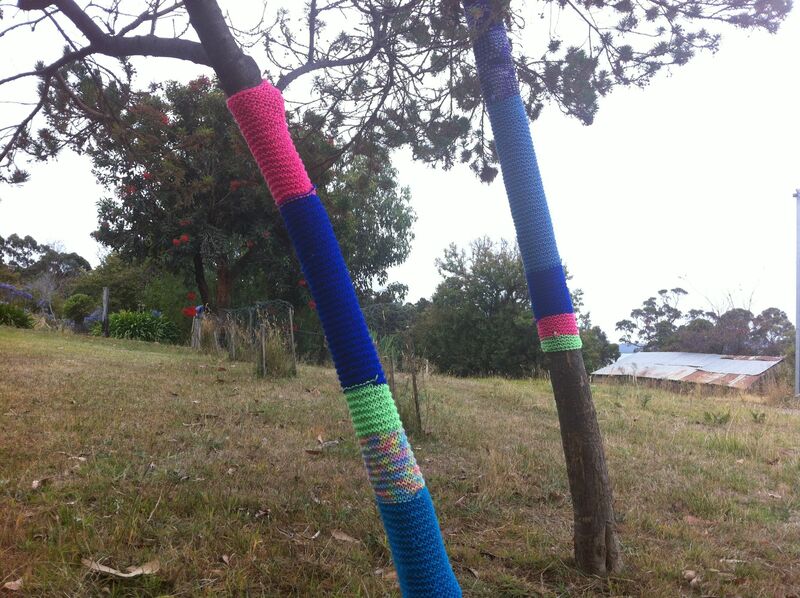 This entry was posted in knitting, photography, Yarn bombing and tagged Bruny Island, knitting, photography, Tasmania, yarn bomb, yarn bomb trees, yarn bombed, yarn bombing on November 10, 2014 by yarnbomb. I BOUGHT THE LITTLE SCOOTER FROM A LITTLE CHARITY SHOP BEHIND A CHURCH. THE LITTLE OLD MAN BEHIND THE COUNTER ASKED ME IF I WAS BUYING IT FOR MY DAUGHTER, WHEN I TOLD HIM THAT I DON’T HAVE KIDS & I WAS PLANNING TO YARN BOMB IT, HE JUST LOOKED AT ME BLANKLY & ASKED MY DAUGHTERS NAME. 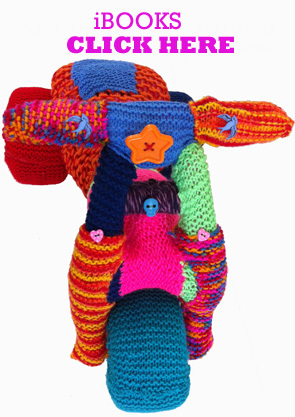 I DIDN’T WANT TO DISAPPOINT HIM SO I TOLD HIM THAT HER NAME IS TABITHA & THAT THE SCOOTER IS HER CHRISTMAS PRESENT. HE SEEMED AWFULLY HAPPY, SO I GUESS I SAID THE RIGHT THING. 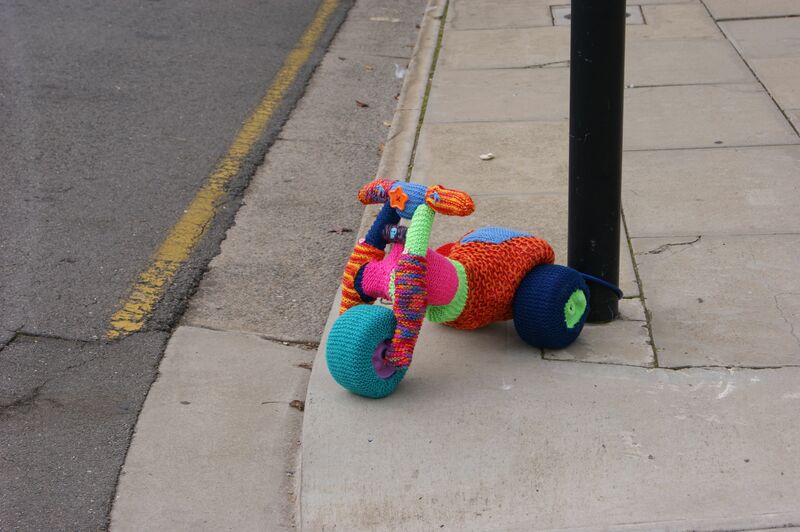 I THINK THE LITTLE TRIKE BIKE WAS MY NEIGHBOURS CHRISTMAS PRESENT A FEW YEARS AGO, BECAUSE I FOUND IT BROKEN & FILTHY LYING IN A HEAP OF HARD RUBBISH ON THE FOOTPATH OUTSIDE OF THEIR HOUSE. 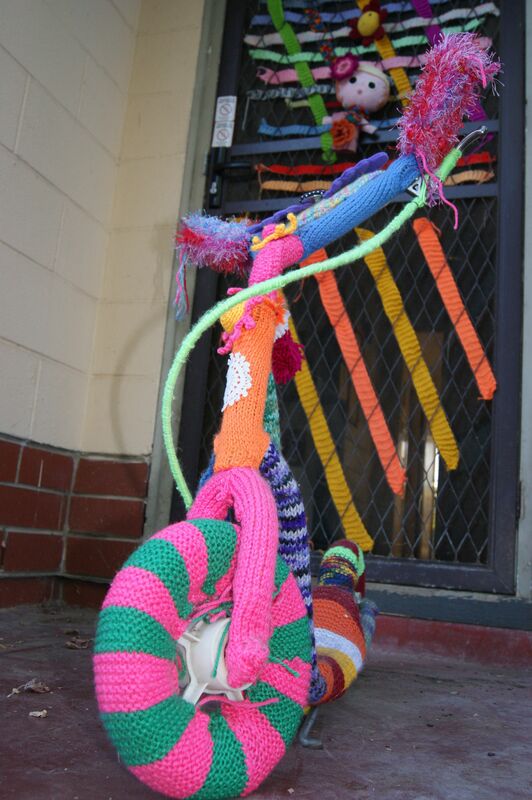 I RESCUED THE BIKE FROM THE TRASH HEAP, STUCK THE BROKEN HANDLE BARS BACK ON & YARN BOMBED IT, WITH FLOURO KNITTING. 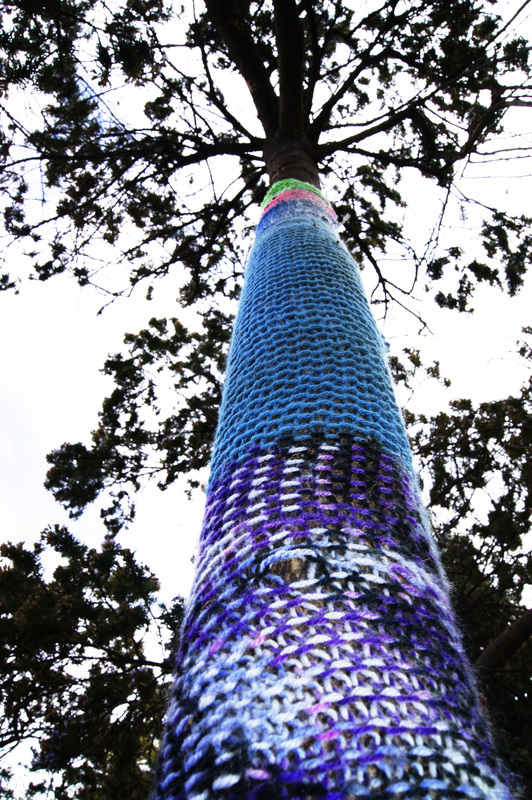 THIS IS A TREE IN MY LOCAL SHOPPING DISTRICT, NEAR A GREAT CAFFE. 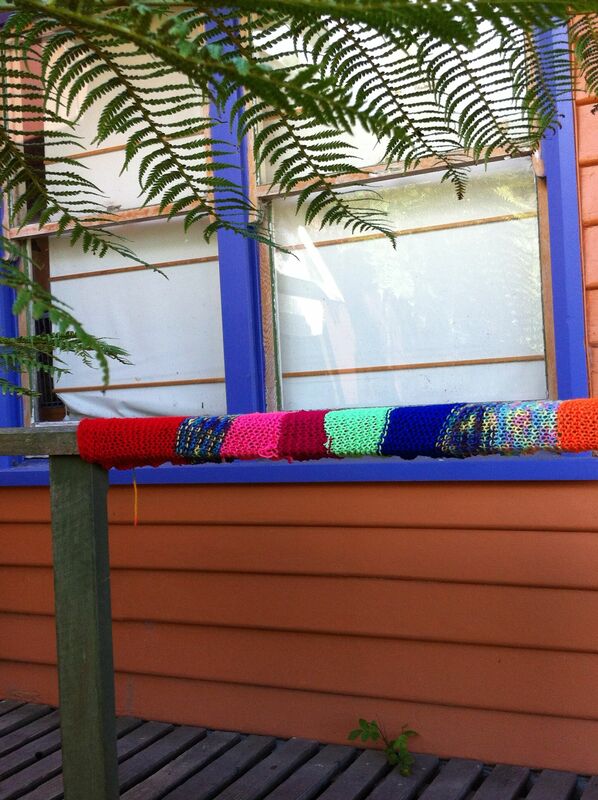 ABOVE IS THE BUSH GATE AT MY MOTHERS HOUSE IN TASMANIA, I GOT BORED ONE DAY WHEN I WAS VISITING & DECIDED TO KNIT A BIT OF BLING FOR THE GATE. I LOVE THESE LITTLE TREE’S IN MY MUM’S FRONT PADDOCK ON BRUNY ISLAND IN TASMANIA. 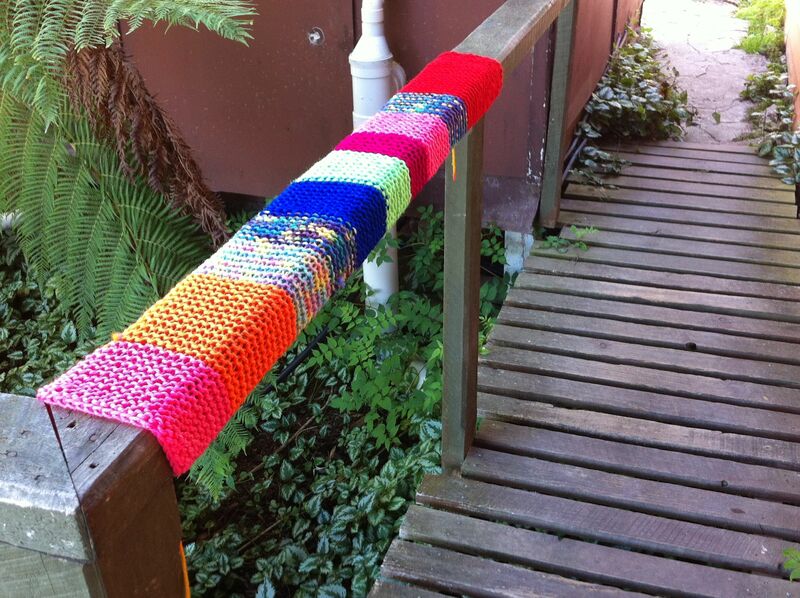 I’VE YARN BOMBED IN SOUTH AUSTRALIA & TASMANIA & NEXT I’D LOVE TO DO SOME YARN BOMBING OVERSEAS. This entry was posted in bikes, knitting, photography, Yarn bombing and tagged AUSTRALIA, craft, knitting, photography, street art, Tasmania, yarn bomb bike, yarn bombing on December 16, 2013 by yarnbomb. 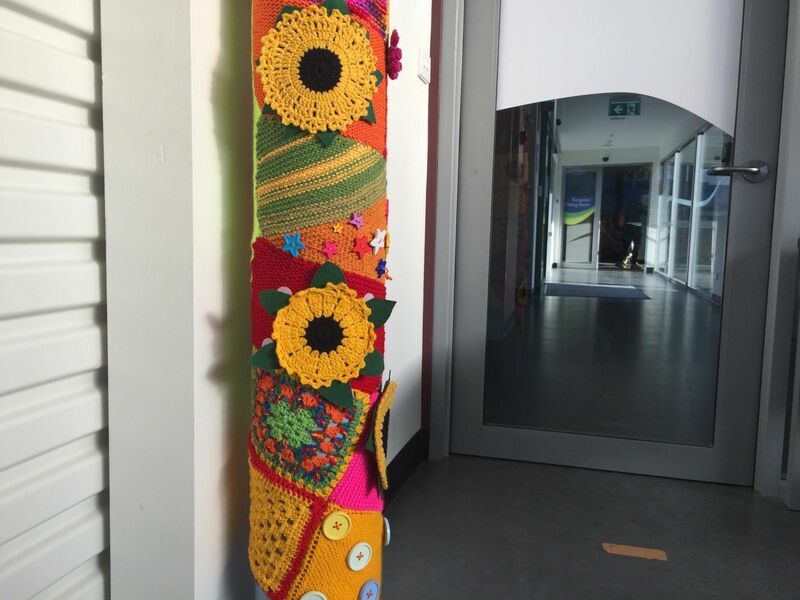 These great yarn bombed rocks are crochet covered. 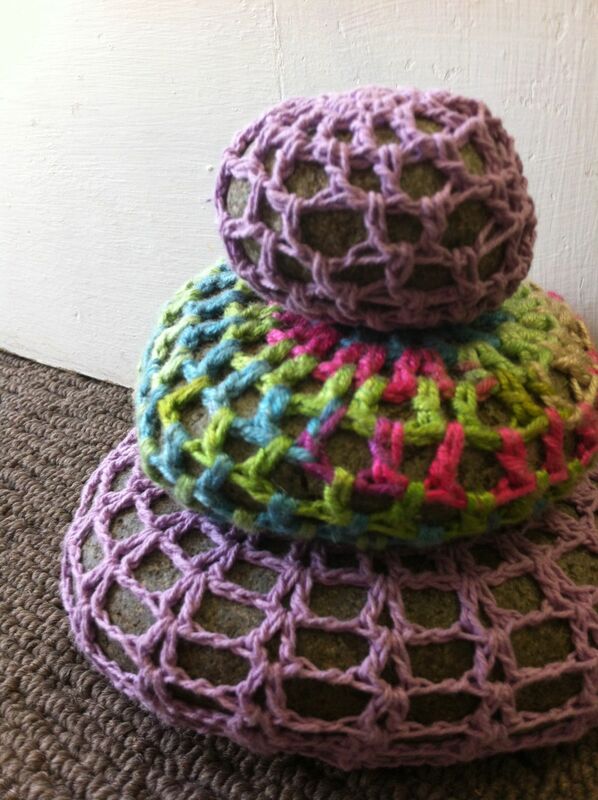 These are beautiful Bruny Island rocks, collected & decorated in Tasmania by Sasha at Avalon art on Bruny Island. 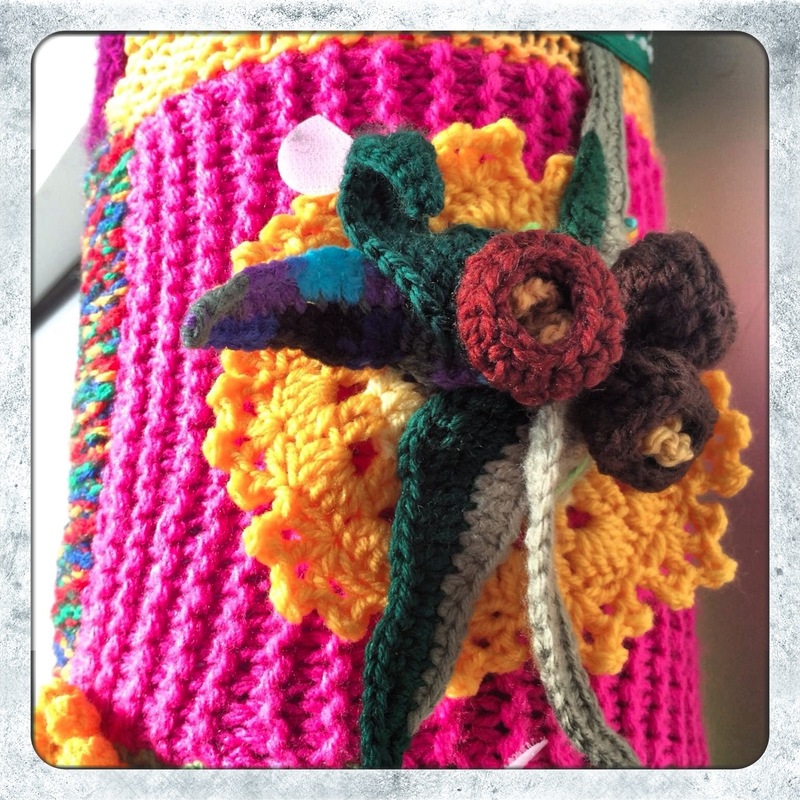 This entry was posted in Uncategorized and tagged Bruny Island, crochet, photography, rocks, Tasmania, yarn bombed, yarn bombing on March 17, 2013 by yarnbomb. 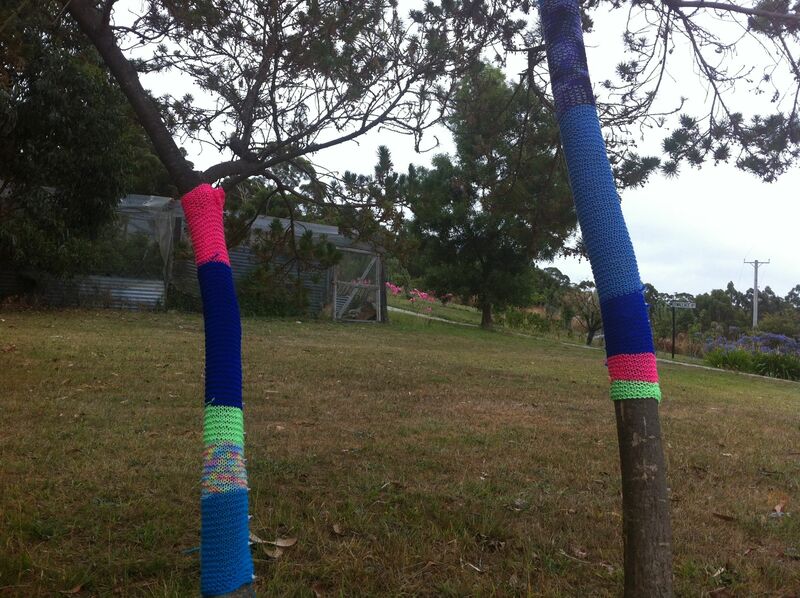 I yarn bombed these two trees while I was on holiday on Bruny Island Tasmania. 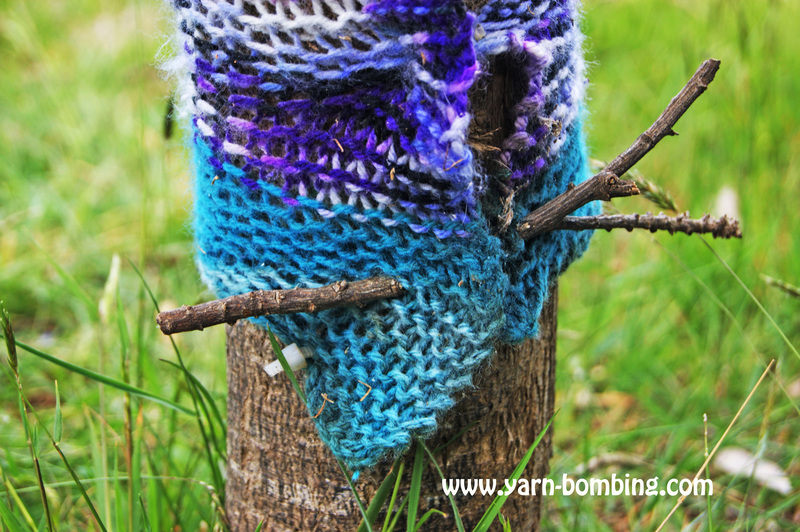 I started knitting on the plane on the way to Tasmania and kept on knitting during my holiday, as I find knitting and craft activities very relaxing. 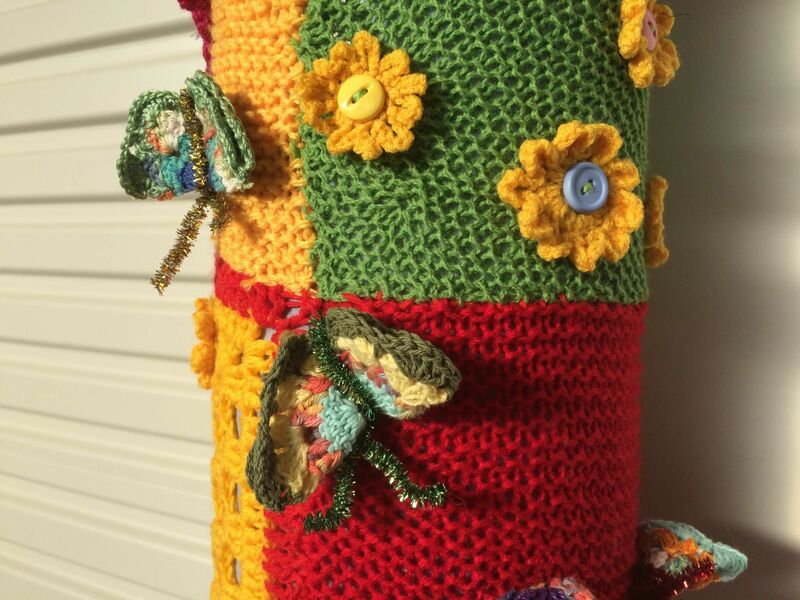 This yarn bomb was done on private property with permission. 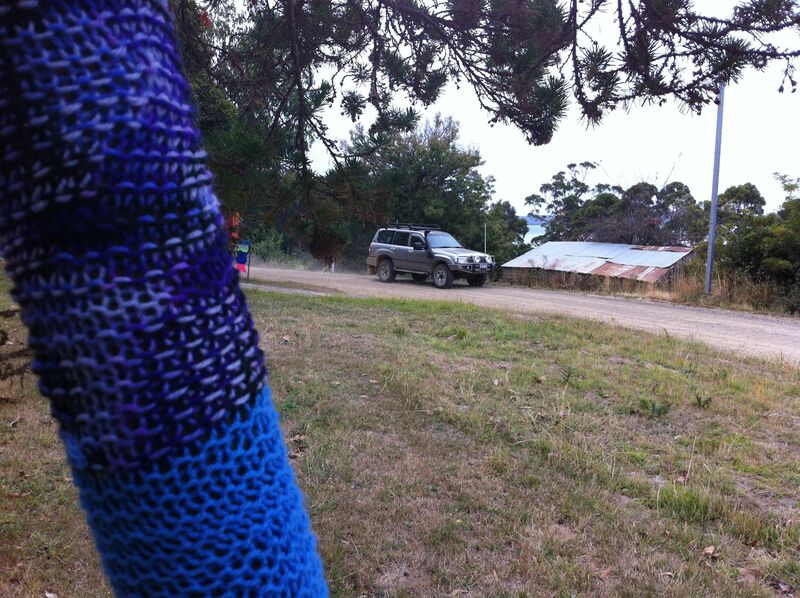 One of the great things about these trees is that they can be seen from the road, so anybody driving down this dirt track can enjoy this semi bush yarn bombing. 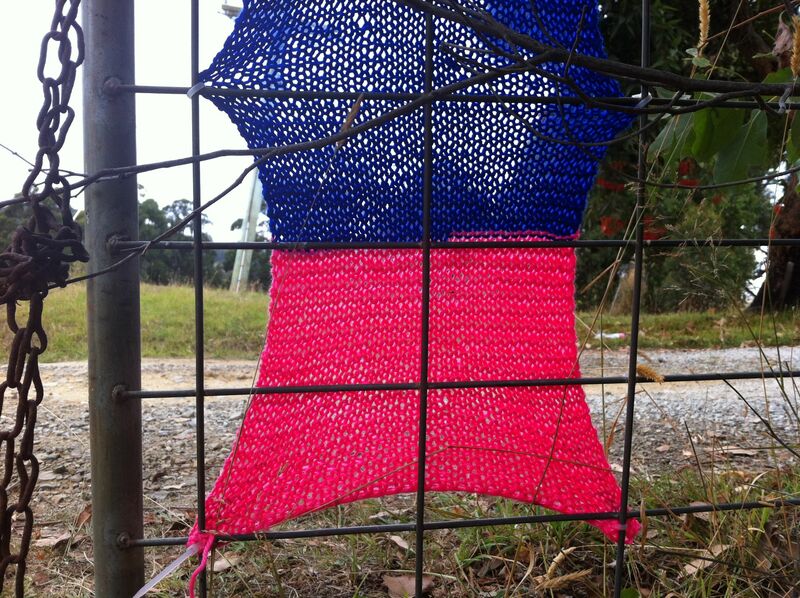 This yarn bombing is street art on a country road. 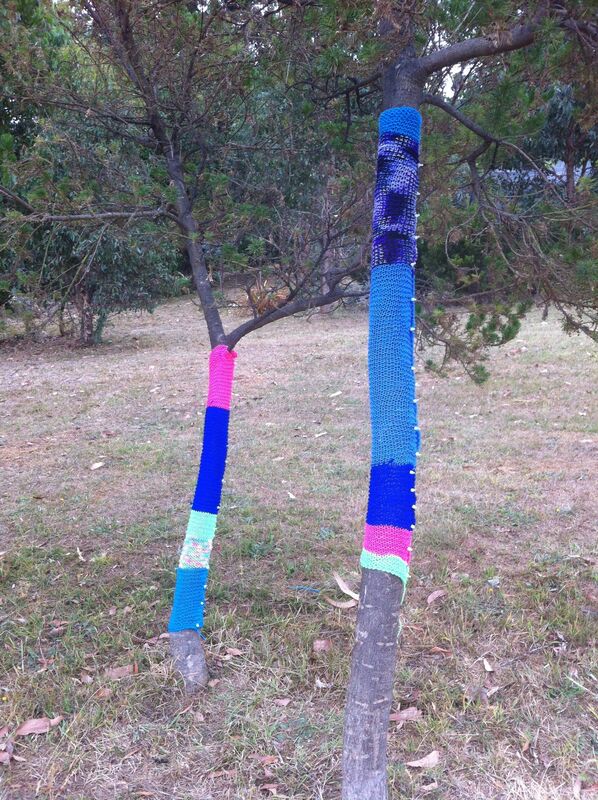 Not a lot of dirt tracks have this kind of colourful yarn bomb tree street art. 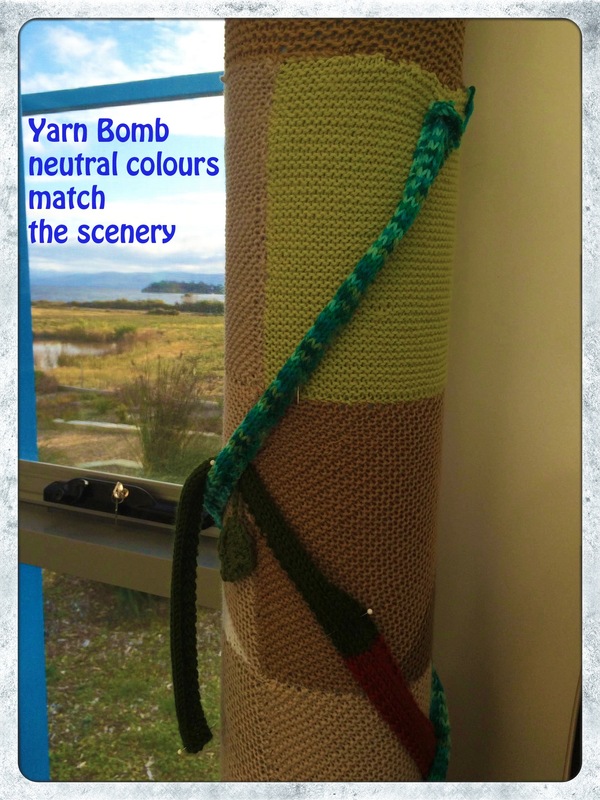 This entry was posted in Uncategorized and tagged Bruny Island, craft, knitting, photography, street art, Tasmania, yarn bomb tree, yarn bombing on March 10, 2013 by yarnbomb. 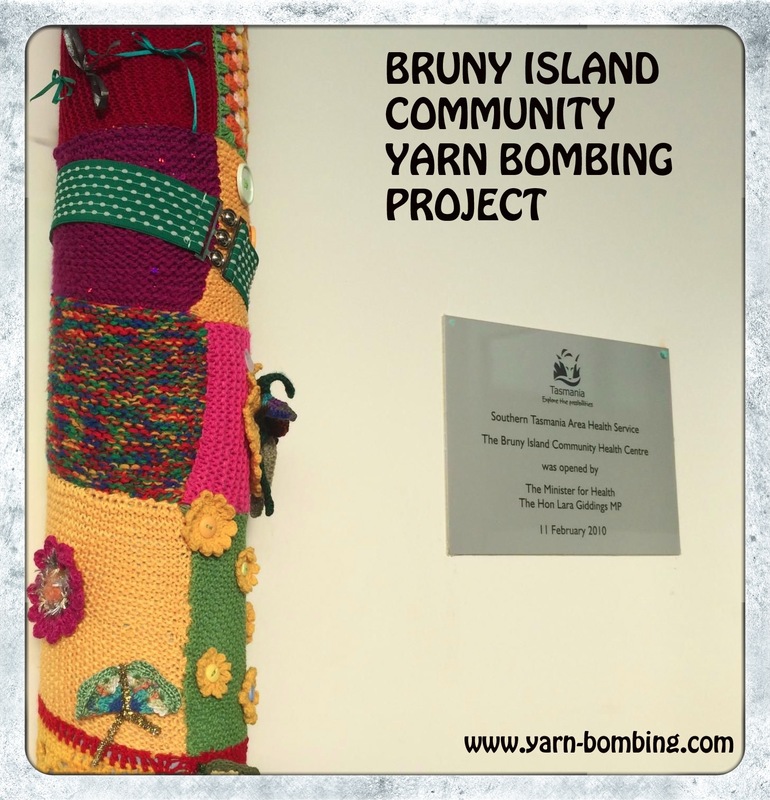 I have been visiting Bruny Island Tasmania and whilst holidaying I have been taking the opportunity to do some knitting and some yarn bombing. 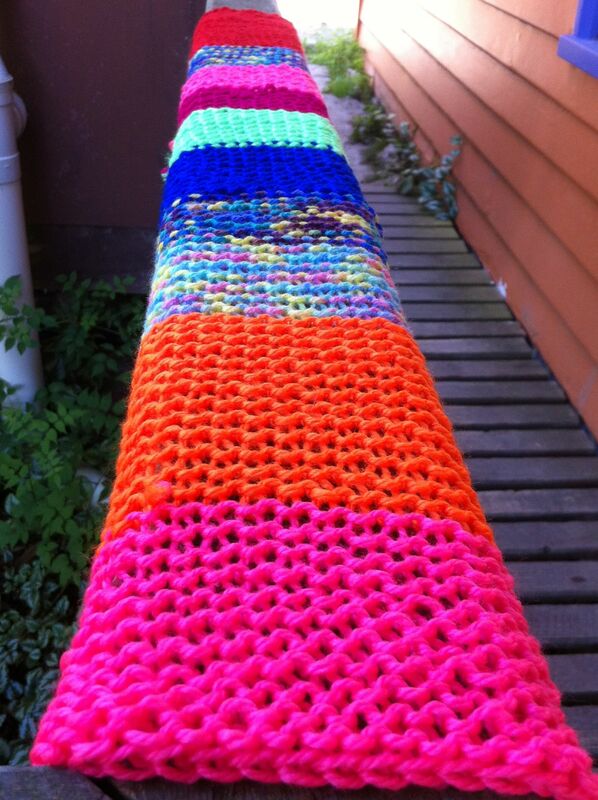 I couldn’t resist yarn bombing this old wooden handrail. 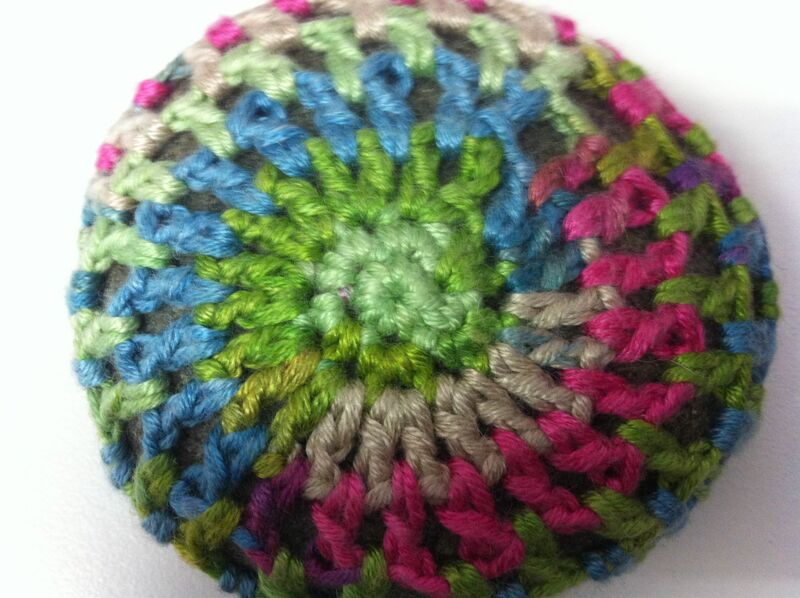 I think the pink looks great with the green ferns and shrubbery in the background. 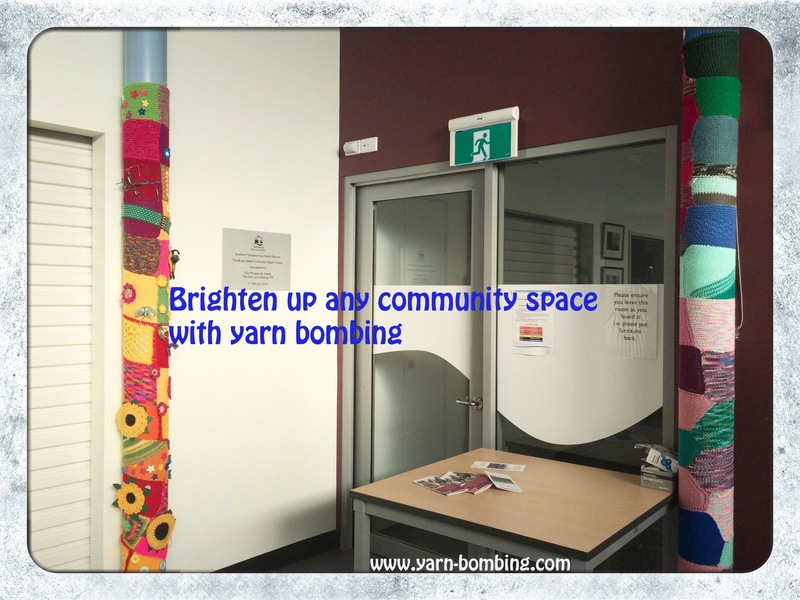 I have received so many nice comments from the locals that I am keen to get in a few more yarn bombing missions before I leave. 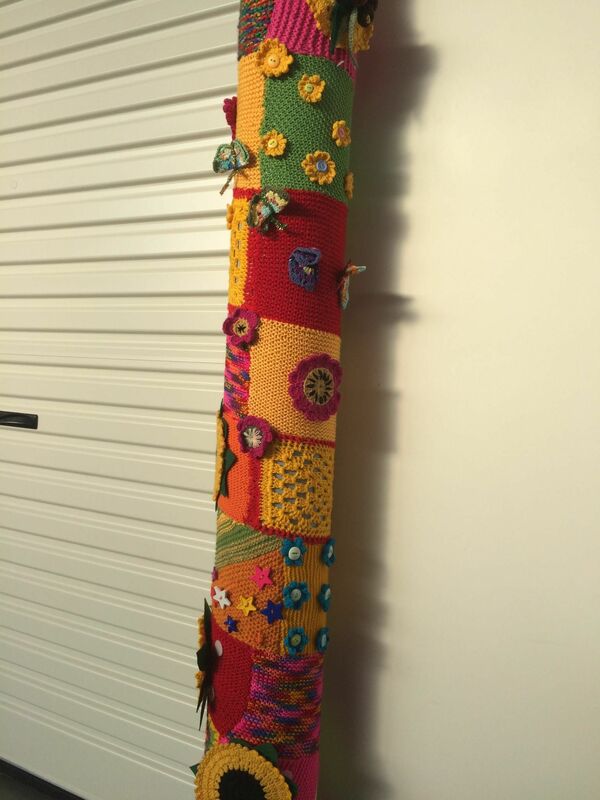 Tasmania is a great spot for photography and I certainly intend to take a lot of photographs and do a lot more yarn bombing while I am here. 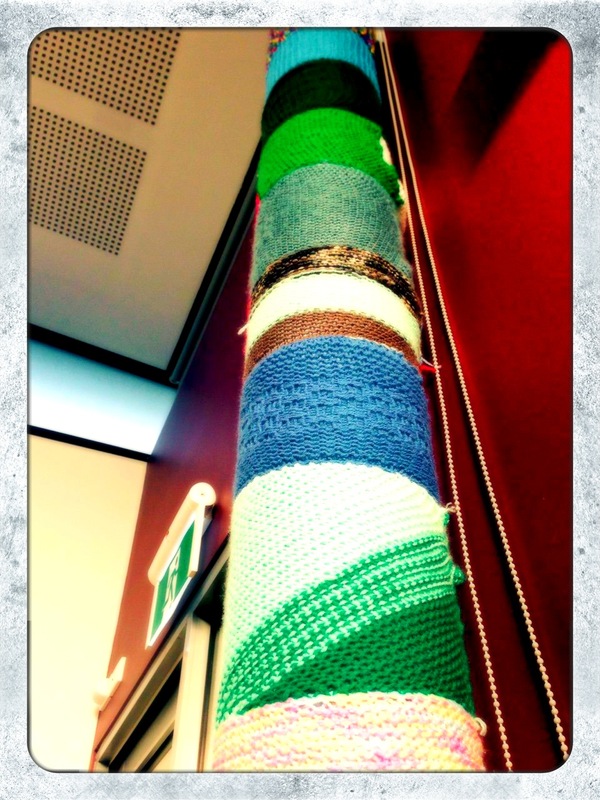 Stay tuned for upcoming posts on yarn bombing in Tasmania. 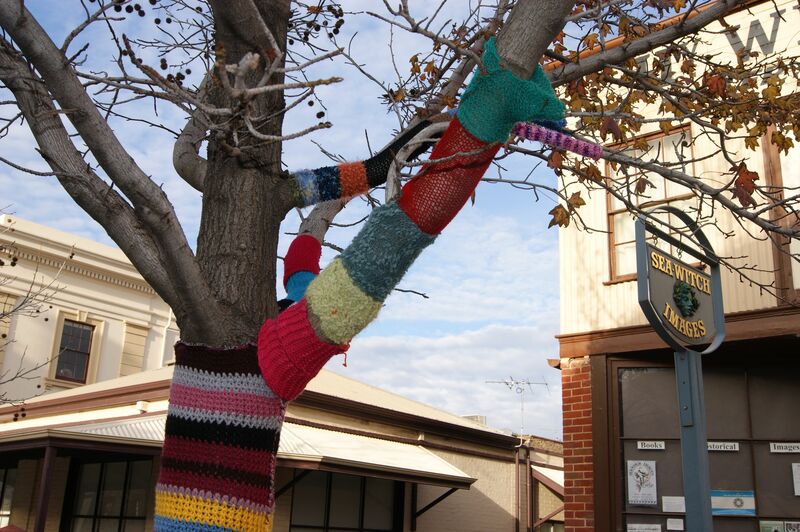 This entry was posted in Uncategorized and tagged knitting, photography, Tasmania, yarn bombing on March 5, 2013 by yarnbomb.